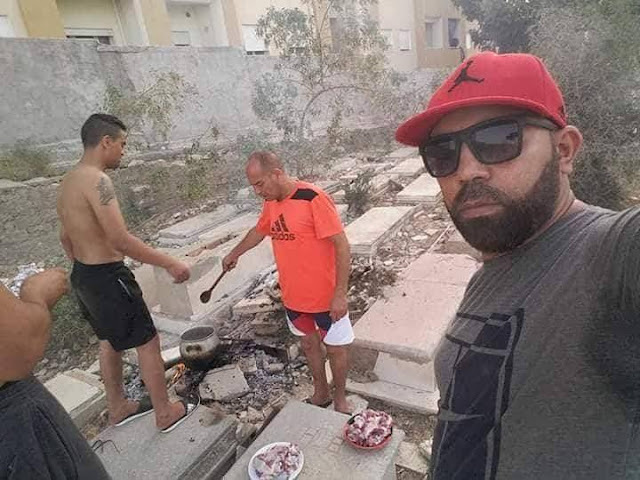 Elie Trabelsi, a prominent Tunisian Jewish businessman, published on his Facebook page a set of photos showing Arabs desecrating an old Jewish cemetery in Sousse and cooking a barbeque. He was outraged, and he also pointed out that it was against Tunisian law. The good news is that the Tunisian police actually took this seriously. The mayor of Sousse, Tawfiq al-Oreybi. says that they are investigating and that the police will take appropriate action, stressing that desecrating a cemetery is unacceptable. 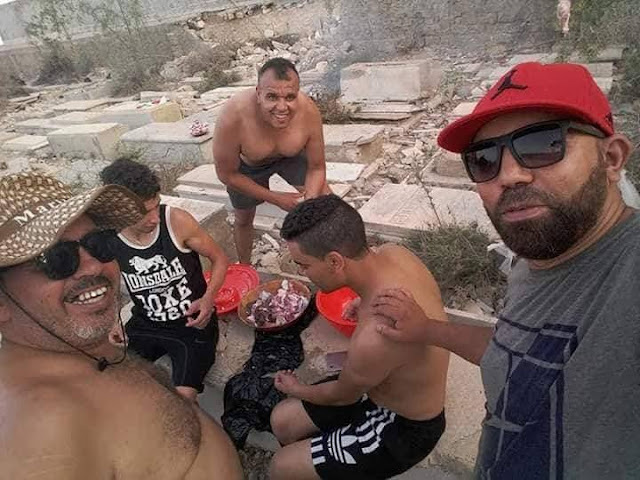 Sousse police arrested 6 men in the cemetery, but it doesn't appear that they are the ones pictured here. Apparently the cemetery has turned into a hangout.